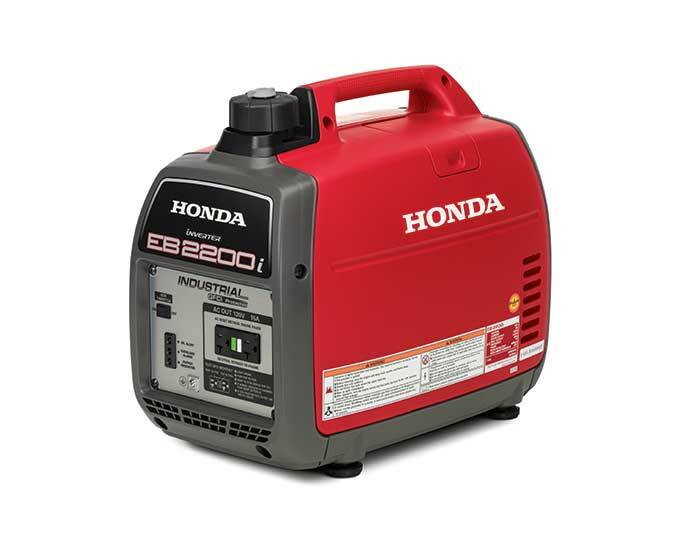 Honda Generator EB2200i delivers 2,200 watts of super-quiet, portable power that’s great for toting between job sites. 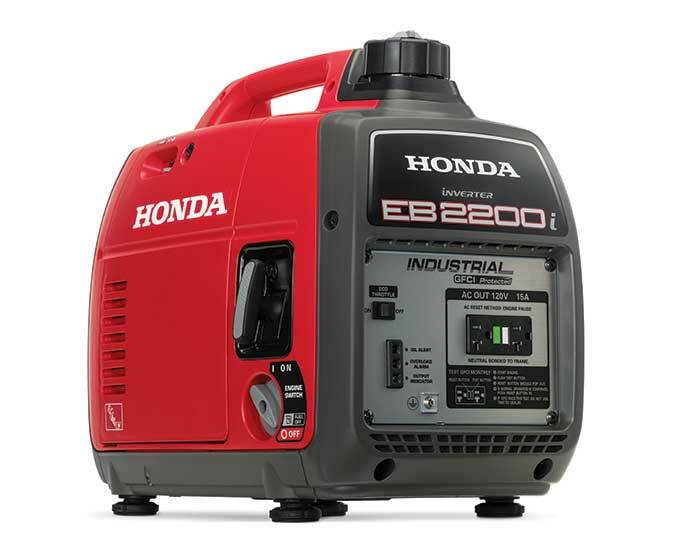 Designed to run air compressors, circular saws, concrete vibrators, drills, chain saws, and industrial motors, this generator is powerful, yet lightweight for everyday transport. The EB2200i is also worksite compliant, meeting emission and safety standards for most job sites. Plus, a 3-year commercial/residential warranty covers you for years to come.